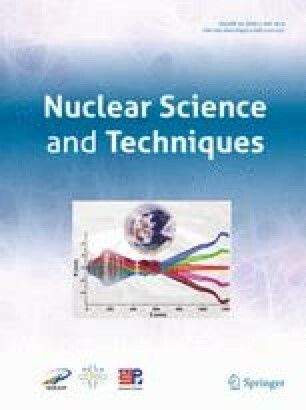 In this study, a scintillation detector was developed to measure the space proton effective dose for astronauts based on the proton effective dose conversion coefficients provided by International Commission on Radiological Protection Report No. 116. In the Monte Carlo N-Particle Transport Code X (version 2.6.0) simulation process, by modulating the depth and solid angle of truncated conical holes in an iron shell from lower-energy protons to higher-energy protons, the energy deposited in the scintillator by isotropic protons was nearly proportional to the corresponding effective dose, with a maximum relative deviation of 13.28% at thirteen energy points in the energy range of 10–400 MeV. Therefore, the detector can monitor proton effective dose indirectly in real time by measuring the deposited energy. We calibrated the photoelectric conversion efficiency of the detector at the cobalt source, tested the response of the detector in the energy range of 30–100 MeV in unidirectional proton field, and validated the simulation with the experimental results. This work was supported by the National Natural Science Foundation of China (No. 11305127), and the State Key Lab of Intense Pulsed Radiation Simulation and Effect Basic Research Foundation (No. SKLIPR1216). We would like to express our heartfelt gratitude to Prof. Tian-Jue Zhang and Prof. Yin-Long Lü of the China Institute of Atomic Energy for their support in the experiment. We would also like to thank the accelerator team for providing high-quality proton beams.